Samsung has launched the Galaxy S III Mini. The specs are also a bit lower, but it’s a quality little smartphone. Samsung has launched a new member of the Galaxy S family. 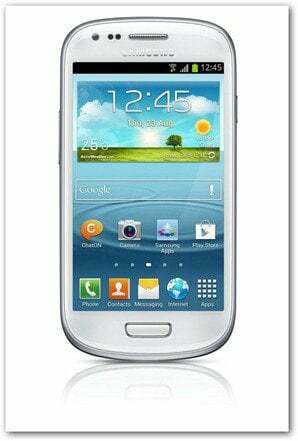 It’s the Samsung Galaxy S III’s smaller brother, called the Samsung Galaxy S III Mini. The specs are also lower, but it’s still a very interesting smartphone. If you were expecting the same smartphone with a smaller screen, sorry to let you down. But this does have some great specs, making it an interesting idea for those that love the design of the S III, but think it’s too big to carry around in their pocket. 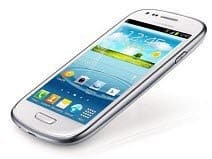 The screen is a 4 inch one (800 x 480 pixels resolution) – the S III has a 4.8 inch touchscreen (1280 x 720 resolution). The CPU is a Dual Core 1 GHz one (not a quad core, as you’ll find on the original S III), which will have no problem running about anything you’re able to throw at it. The really good news is that it runs the latest Android version, 4.1 Jelly Bean, with Samsung’s Touch Wiz interface on top of it. The camera is 5 megapixels with a LED flash, and a VGA front camera for video calls. You can get it with 8 or 16 GB of sotrage, but you can add to that via a microSD card – 32 GB is the biggest supported capacity. Samsung has also kept some unique features of the S III in the smaller brother – Smart Stay – the feature that keeps the screen on when you’re looking at it. And Direct Call – the feature that calls the sender of a message you’re reading when you take the phone to your ear are present. It also has HSPA support, but no LTE. No official pricing was yet revealed, but UK retailer Clove has it in pre-order the unlocked version for 298.90 pounds (around $ 480).